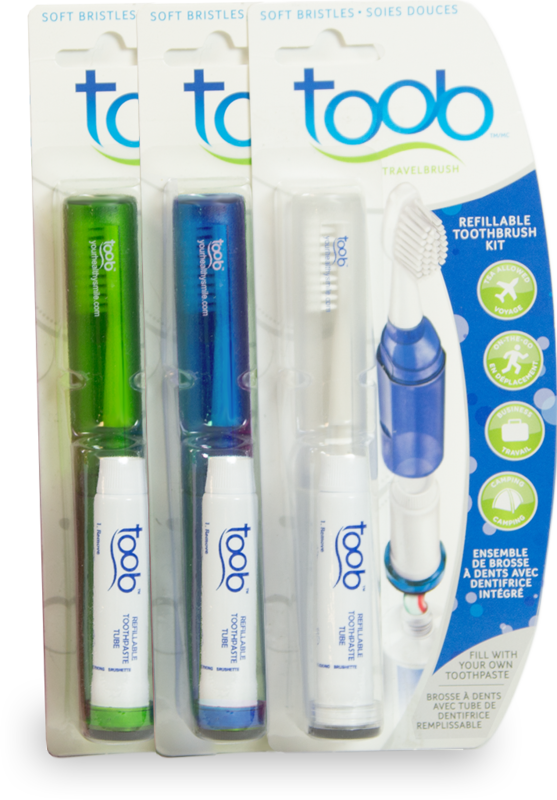 Toob Travel Toothbrush – The toothbrush with everything you need to use it, built inside. The toothbrush with everything you need to use it, built inside. Everything you need to brush, right inside Toob. Toob is totally brandable, promote your company! Patients value the innovation, convenience and practicality of the Toob™ Brush. Your clients will proudly show it to friends, family and co-workers. This is a cost effective marketing tool that will bring new patients to your practice. Toob comes in many colours, choose yours! Toob is perfect for the on-the-go person. 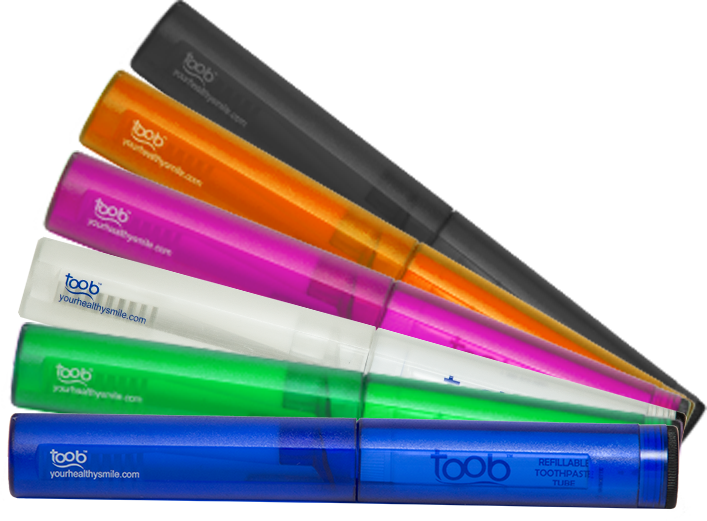 Choose your favourite color, then be on your way with Toob. Its convenient, sleek and modern design will allow you to take it anywhere, mess free. So what are you waiting for? Lets get started. Get the best travel tooth brush in your inventory. 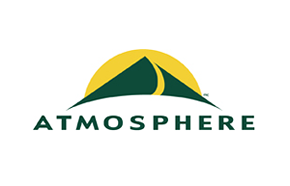 Reach out and we would be happy to talk about providing your retail store with the product. We work with dynamic companies and organizations that want to project their products and their progressive image. They include corporations, hospital groups and government initiatives.